We are registered with networforgood.org, an on-line not-for-profit clearinghouse for charitable contributions. 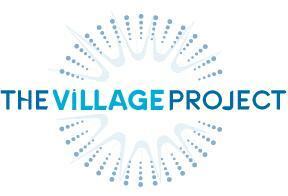 Using your credit card you can make a contribution to The Village Project. The Village Project Inc. is a non-profit organization with 501 (c) 3 tax exempt status granted by the U.S. Internal Revenue Service. Contributions to The Village Project Inc. are tax deductible. Donors outside the United States should consult their own country's regulations regarding charitable giving. The Village Project Inc. is a New York State registered non-profit corporation; in the State of Wisconsin we have a certificate of authority to conduct business under the name, The Village Project (NY) Inc. The contributions we receive from individuals are absolutely crucial to the projects we undertake. We ask you to consider making a contibution. If donors wish, gifts may be directed to specific purposes. Please contact us directly to arrange a contribution of goods or services. If you have questions about making a contribution or questions about the organization's activities we invite you to contact Noah Sobe (President) and Amy Shuffelton (Executive Director) at the above address or by email at amyandnoah villageproject.org or by phone at +1 (608) 286-8663. Copyright © 1999-2006 The Village Project Inc.